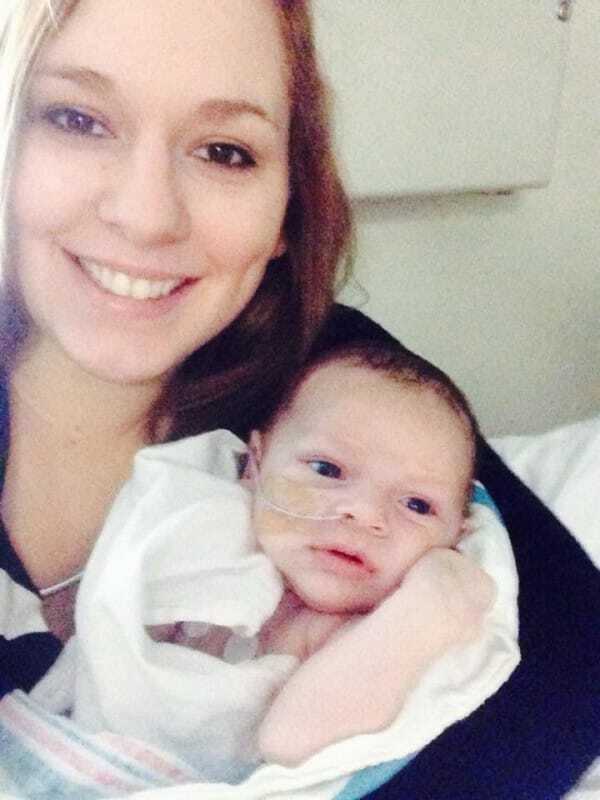 Home LIFE Mom Was At Walmart When A Stranger Called Her Baby Something UNIMAGINABLE! Ignorant and negative personalities are hurdles to a better society. They not only hurt people but also make life difficult for ones who are fighting for their lives and still smile. We don’t even know that the strangers standing beside us might be suffering a lot then we can imagine. They chose to still smile and we must do our duty by not judging their scars. They might be going through a lot then we can imagine. We have a story of one young mother who faced ignorance face to face! 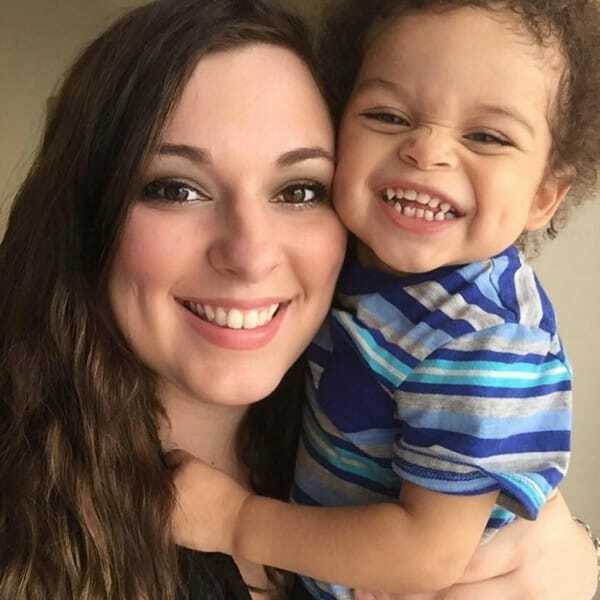 Dallas Fowler was in a line at Walmart when her 2-year-old beautiful baby Jameus asked her to lift him up. She quickly picked him up and cuddled him during which his shirt lifted up revealing his colostomy bags. An old lady behind Fowler seemed to have a problem and started questioning her about what it was with a look of disgust on her face. She later asked the young mother about the bag who in brief replied that he needed that as his colon had not finished forming. She later asked the young mother in disgust to put down his shirt as she found it repulsive. Fowler wished her a good night and joined another line in order to avoid ignorant people. Repulsive is your attitude lady! 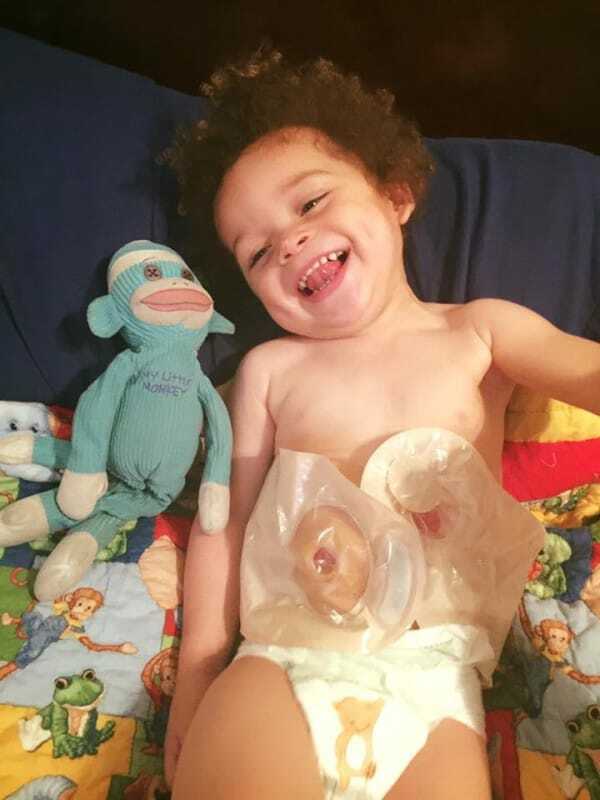 The colostomy bags cover Jameus’s stomas and collect the waste his body expels. Stomas connect an opening in the colon to the surface of the abdomen. 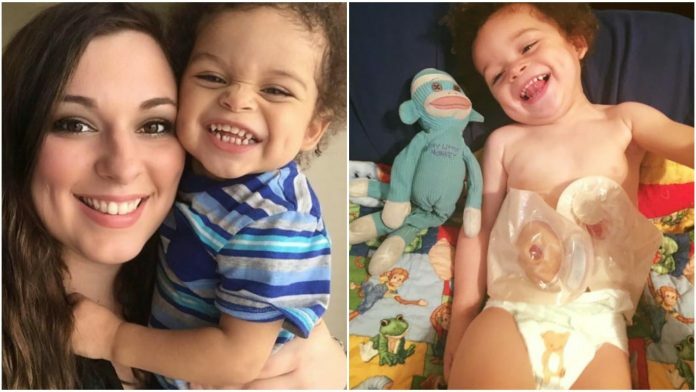 Jameus suffers from a rare disease called the Hirschsprung’s disease that results in problems with the large intestine because of which this baby hero has undergone 20 surgeries with more scheduled in the future. But the comment by the lady was quite disturbing and Dallas decided to reply her with ardent sincerity, unlike the lady. Continue ahead to know her reply. Previous articleThis Man Wore A Dress To His Best Friend’s Funeral. When You See Why, Your Heart Will Break. This Man Wore A Dress To His Best Friend’s Funeral. When You See Why, Your Heart Will Break.